How Long Should a Turkey Be Smoked? 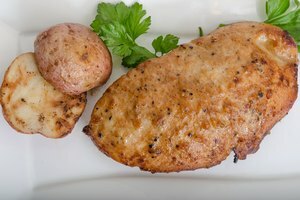 Smoking a turkey adds a lot of flavor and maintains the moisture in a bird that has a reputation for being dry and bland. More moisture can be added by brining the turkey before smoking. 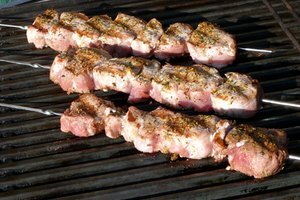 Flavor with a dry rub as desired, and choose a flavorful wood for smoking. This will be a turkey to remember. Turkeys less than 12 pounds are suitable for smoking whole. A larger turkey will not cook fast enough in a smoker to guarantee its safety. Larger turkeys can halved or divided into pieces for smoking. Turkeys should not be stuffed when smoking. Because smoking uses a very low temperature, the stuffing will not cook fast enough and will spend too much time in the danger zone, below 140 degrees Fahrenheit. Smoke the turkey at a low temperature, between 225 and 250 degrees. Expect that the turkey will require at least 30 minutes per pound to smoke at 230 degrees. A 12-pound turkey will need six hours--minimum--to smoke. About an hour before you expect the turkey to be ready, check its progress. 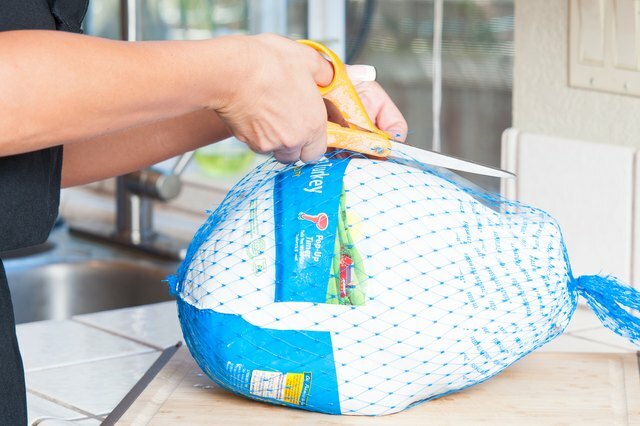 Test the turkey for doneness using a meat thermometer. Check the temperature in the thickest part of the thigh and breast, making sure that the thermometer does not touch a bone. The turkey is done when both readings are 165 degrees or higher. Usually the breast will cook faster, so continue to smoke the turkey until the thermometer reads at least 165 degrees in both places. When done, the legs and wings will move easily. Carefully remove the turkey from the smoker and allow it to rest for 15 minutes. The turkey will continue to cook during this time, and the juices will have a chance to redistribute, yielding a moist turkey. 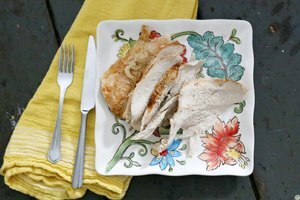 Thirty minutes per pound is a minimum time that your turkey should need at an ideal 230 degrees Fahrenheit. 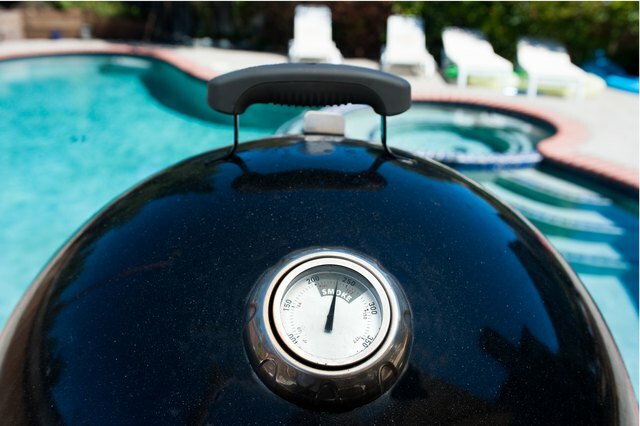 The actual smoking time will depend on the temperature of your grill and maintaining even heat. 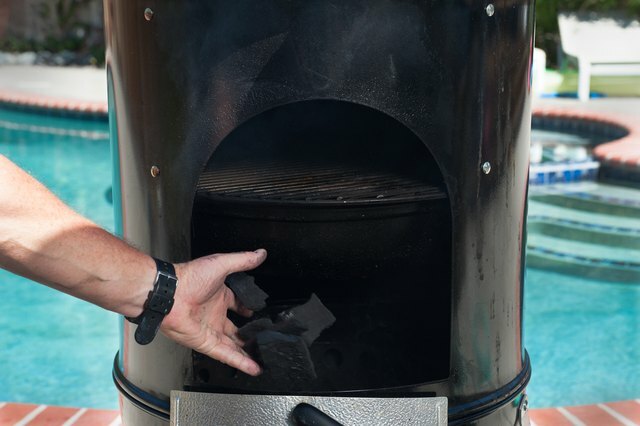 Add charcoal as needed to keep the grill temperature between 225 and 250. 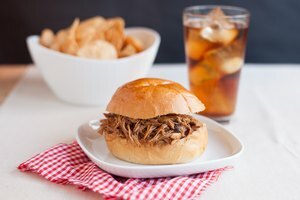 Avoid opening the grill whenever possible. Every time the lid is raised, the temperature drops and it takes time to get back up to temperature, adding to your cooking time.